The most common issue many face is hair loss. However, one tends to lose at least 50 to 100 strands of hair on a daily basis which can be termed normal according to the dermatologists. The most common issue many face is hair loss. However, one tends to lose at least 50 to 100 strands of hair on a daily basis which can be termed normal according to the dermatologists. But if the limit exceeds causing balding patches or hair thinning – alopecia, one needs to take precautions. Many in their 30s suffer from hair loss problems due to stress, unhealthy diet and hormonal changes. Nevertheless, it can be dealt with natural remedies at home such as Onion. Rich source of sulphur, Onion is extremely beneficial for healthy hair growth. The Sulphur increases the production of collagen which accelerates regrowth of hair and prevents hair breakage. Increases blood circulation and strengthens hair follicles when raw onions are massaged onto the scalp. Pumps lost nutrients and helps in providing nourishment to the hair follicles. Onion helps control of premature greying of hair which is caused by the natural antioxidant as catalase reduces, however, catalase is increased by Onion. Hair breakage and hair thinning is reduced with the presence of sulphur in onions. 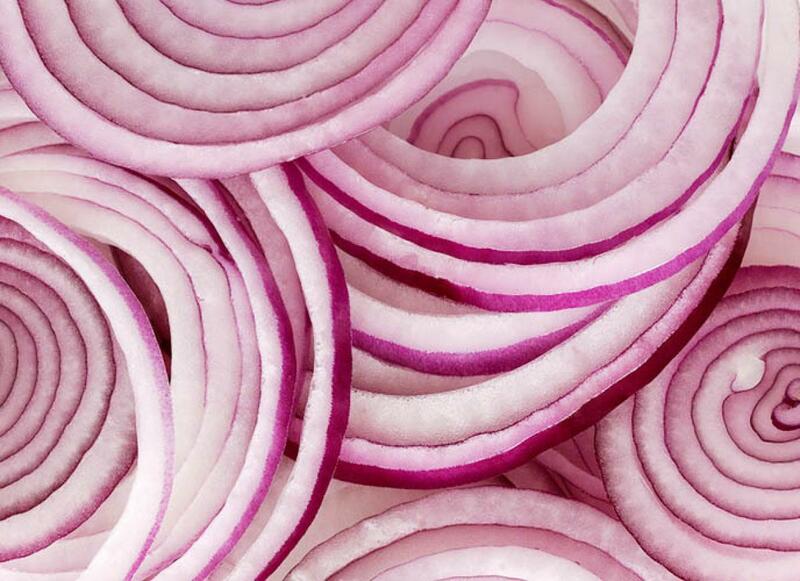 Onions help get rid of scalp parasites and infections with its anti-bacterial properties. With its nourishing and moisturizing properties, honey is great for hair. Combining with Onion, your hair turns healthy – Squeeze 1/4th cup of raw onion juice and add a tablespoon of honey to it. Apply the mixture to the scalp or drink the juice. Squeeze the juice out of chopped onions and apply to the scalp. Rinse with a mild shampoo after 15 minutes.